Creating a website is a small element of an effective marketing campaign. We are able to assist you in creating simplified techniques that can make by far the most of your marketing and advertising bucks. Marketing is mostly about reaching potential clients . To make the uttermost effective marketing campaign, we learn where you stand presently, and where you would like to be. Subsequently, we will develop a strategy that can assist you to fill that gap. If you find yourself dealing with a large list of contacts, would like to get your campaign out to more potential customers or perhaps decrease administration time, an on-line news letter could be the answer to your needs. Monitor stats on readership like open rates and clicks. 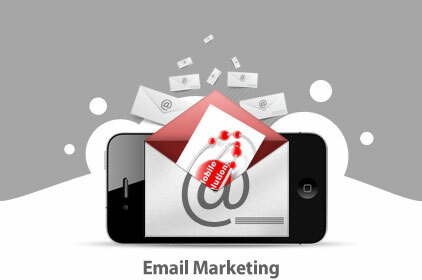 AHB IT Solutions could handle your email marketing campaigns for you, or we can provide you with your account details so you can manage it yourself. Whatever option works best for you.